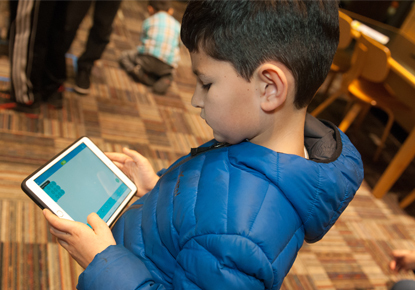 Thursday, Feb. 21, 2019, 3 – 4:30 p.m.
LibraryLab introduces science, technology, engineering and math concepts through play, experimentation and discovery. Drop-in for monthly self-directed challenges, mess around with cool inventor kits, and let us show you how to create amazing things using digital technology. This month stop by to play with builder kits and create wonders.